In 1719, Zenger married Mary White and opened a printing business in Chesterfield, Maryland. His goal was to be the colony’s official printer, but the printing business failed. Soon after Zenger’s first wife died, leaving him to raise their infant son. Zenger moved back to New York, and began working with Bradford, his former boss. John Zenger married Anna Catherine Maulin in Queens, New York, on September 11, 1723. After a brief partnership with Bradford, Zenger started his own business in 1726. The couple had five children and worked together in the print shop. Over the next seven years, Zenger printed mainly political and religious pamphlets that were written in the Dutch language. New York was a royal colony — controlled by the British monarchy, which appointed the governor. After colonial governor William Cosby arrived in New York in 1732, many colonists protested his policies. James Alexander, a lawyer and member of the provincial council, attacked Cosby in an editorial that appeared in Zenger’s newspaper. Zenger also published similar articles by other writers. Because Zenger was the publisher, he was ultimately responsible for the content. First Independent Newspaper in U.S. The turning point in John Peter Zenger’s life occurred in 1733, when he was appointed publisher of the New York Weekly Journal, a new political paper that was started by lawyers, merchants, and other citizens who thought Governor Cosby had misused his powers. The first issue of the Journal appeared on November 5, 1733. John Peter Zenger neither wrote nor solicited the controversial editorials and satiric advertisements that appeared in the newspaper. Most of the pieces that accused Governor Cosby of governing without the will of the people were probably written by the backers of the newspaper. Yet as publisher, Zenger was responsible for every word. After the Journal had been running for nearly a year, the New York Council (the law-making body) decided to punish Zenger. The Cosby ordered copies of the newspaper to be burned, especially four particularly offensive issues. On November 17, 1734, the sheriff arrested John Peter Zenger, and took him to New York’s Old City Jail. Governor Cosby charged him with four counts of seditious libel – falsely criticizing the government – for articles that had been published in the Weekly Journal. Unable to meet bail, Zenger was imprisoned for more than eight months before his trial, contemplating a possible death sentence. Moreover, he refused to bow to pressure – which might have helped his cause – and identify Alexander and others as the sources of the offending articles. With her husband in jail and young children in the house, Anna Zenger somehow managed to publish the New York Weekly Journal every Monday, after missing only one issue, for nine months at fearful risk. She brought articles to her husband at the jail, and he edited them in his cell. In so doing, Anna provided for her family, and became one of the first women newspaper publishers in America. The continued publication of the Journal helped build public support for John Zenger’s cause. 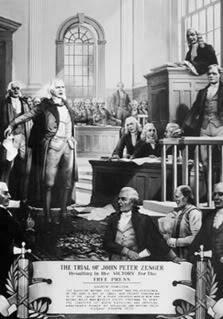 Zenger was brought to trial for criminal libel in April 1735. His attorneys immediately challenged the appointment of the politically powerful Chief Justice De Lancey, one of Cosby’s cohorts, to preside over the trial. The Cosby administration then disbarred Zenger’s attorneys and the case was delayed. When the case finally went to trial in August 1735, Governor Cosby replaced the chief justice with a colleague who was loyal to his regime. 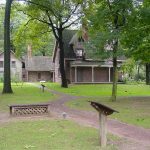 By that time, Zenger was being represented by Andrew Hamilton, a Philadelphia attorney and the most prominent lawyer in the American colonies. The judge was ready to direct the jurors to retire and return with a guilty verdict. But Andrew Hamilton argued that the articles were not libelous because they were factual, a departure from common laws at the time. He appealed to the jury to stand up to arbitrary power that would prevent the colonists from speaking and writing the truth. It is natural, it is a privilege, I will go farther, it is a right, which all free men claim, that they are entitled to complain when they are hurt. They have a right publicly to remonstrate against the abuses of power in the strongest terms, to put their neighbors upon their guard against the craft or open violence of men in authority, and to assert with courage the sense they have of the blessings of liberty, the value they put upon it, and their resolution at all hazards to preserve it as one of the greatest blessings heaven can bestow. On August 5, 1735, twelve New York jurors ignored the instructions of the Governor’s hand-picked judges and returned a verdict of Not Guilty on the charge of publishing seditious libels. They concluded that Zenger’s articles were based on fact, and therefore not libelous. The decision was cheered by spectators in the courtroom and later hailed by the general public. The free press survived in New York, and the concept spread quickly through the colonies. The verdict made Hamilton a hero and Zenger a symbol of the right of the press to print the truth. After this release from prison, Zenger resumed his position as publisher of the Journal. He wrote an account of his trial, which was published as A Brief Narrative of the Case and Tryal of John Peter Zenger in 1736. The report was subsequently issued in several editions and generated considerable interest in the American colonies and in Britain. John Peter Zenger ultimately became the official printer for New York and New Jersey, and continued to publish the New York Weekly Journal until his death in 1746. 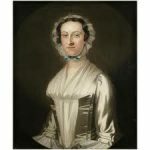 Anna Zenger once again became publisher of the Journal until 1748, when she turned over the weekly to her oldest son John. 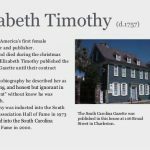 In her later years, she moved outside of New York City and opened her own bookshop selling pamphlets, almanacs, and other small publications that she printed. Anna Catherine Maulin Zenger died in 1751. Every year, the University of Arizona Department of Journalism and the Arizona Newspapers Association Foundation bestow the John Peter and Anna Catherine Zenger Award for Freedom of the Press and the People’s Right to Know.